Catherine de France’s stylists have the creativity, training and skills to reveal your beauty, while our friendly and attentive staff pampers you in the most relaxed and pleasant surroundings. Our salon is developed around a global beauty concept with will cater any of your beauty needs, from personalised hairstyling to esthetic care (nail, waxing, tanning and beauty treatments). Combining our hair expertise with Kerastase professional products, our stylists will give your hair the essential nutriments they need. In addition to hair styling services, Catherine de france offers a variety of beauty treatments such as professional line of cosmetic WOVE STYLE, and a series of exclusive skin, body and hair treatment utilizing EPOSKIN machine. These highly effective treatments were designed with ambition to realize women’s wish for perfect skin and hair. If you wish complimentary information about our services you can look at the links below. 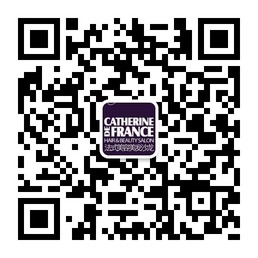 Art of hair and Shine of beauty services have been designed for you by Catherine de France. Hope to see you soon in our salon.